Create your own bespoke finish by selecting this sanded oak shaker. You can create your own exclusive finish to match your overall kitchen design. The sanded oak shaker features a simple uncomplicated design which can be modernised by the clever use of handles. 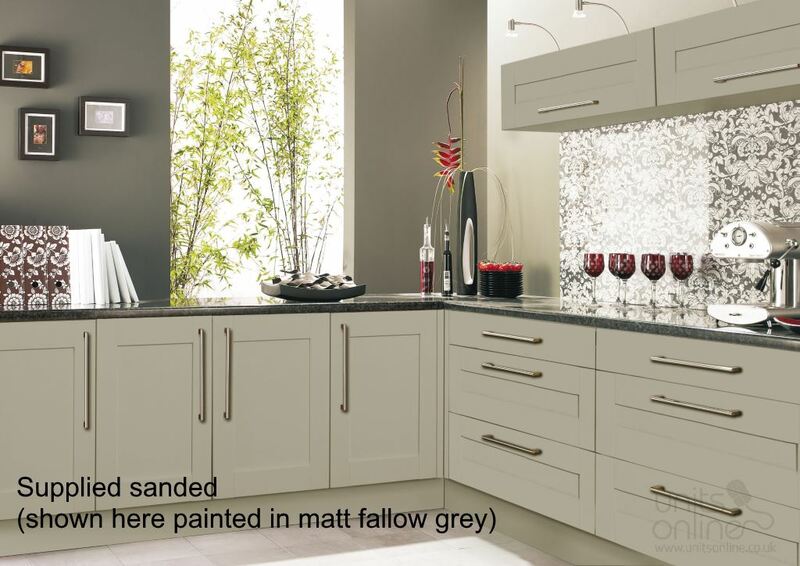 The sanded oak shaker has been painted in matt fallow grey in the image below, giving you an example of a the kitchen when painted.